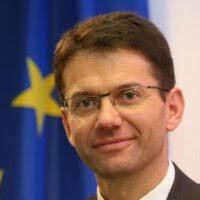 Augusto Burgueño Arjona is the Head of Unit "eInfrastructure" at the European Commission's Directorate General for Communications Networks, Content and Technology (DG CONNECT). The Directorate General for Communications Networks, Content and Technology supports the development and use of Information and Communication Technologies (ICTs) for the benefit of all citizens. The Unit "eInfrastructure" deals with the development and deployment of e-infrastructures and services for on-line research.